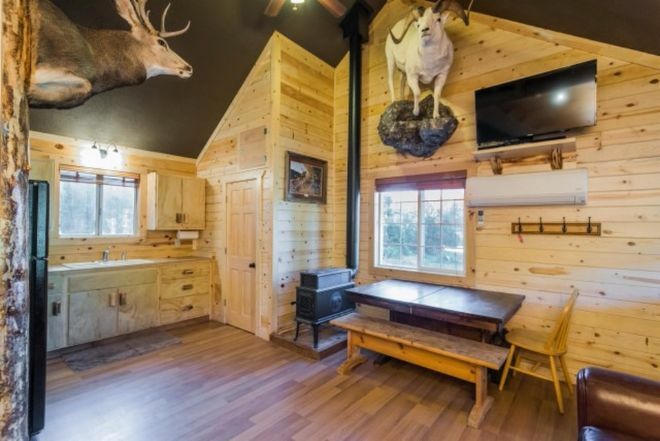 Imagine waking up in the middle of the mountains of Duck Creek, Utah, in this beautiful, picturesque log cabin, gazing out onto the hills surrounding you. 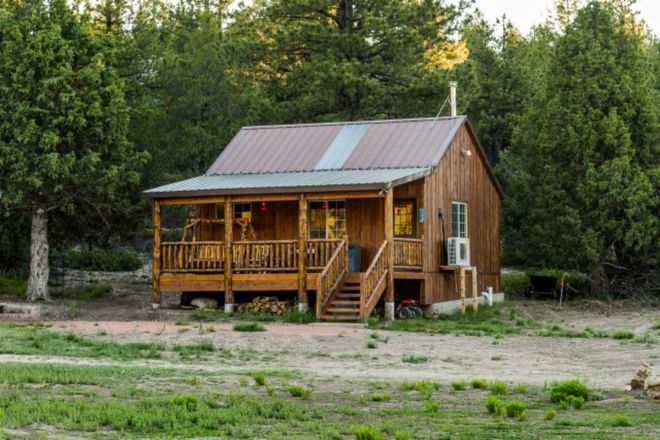 Nestled right in the middle of a beautiful forest, this home is just waiting for you to come and bring your family for that restful and relaxing vacation stay. The home is perfect for those who really want to get away from it all – not only are you safely secured in a patch of land surrounded by lush, beautiful forests, but being distanced from the hustle and bustle of the city instills a sense of calm reverence in the atmosphere as you relax and let your troubles slide away. This is the perfect getaway to detox from the stresses of everyday city life. 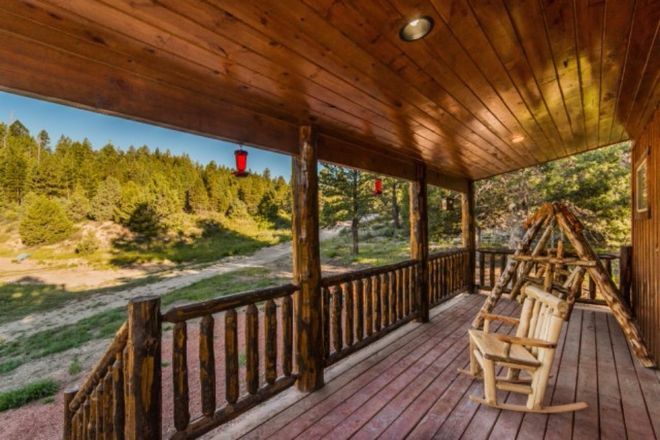 The lot around the house is generous, but not only that, this property also comes with 120 acres of land included. Hike for hours on your very own paths, or simply just soak in the peace and quiet. The interior of the home is extremely comfortable and generous enough to easily accommodate a family or gathering of friends. The authentic, wood-burning stove compliments (and heats!) the room beautifully. The kitchen is modest and utilitarian, but easily serviceable for the needs of a family or group of friends. The full-sized fridge, as well as double-sink and hand-made cabinetry are all great attributes as well. 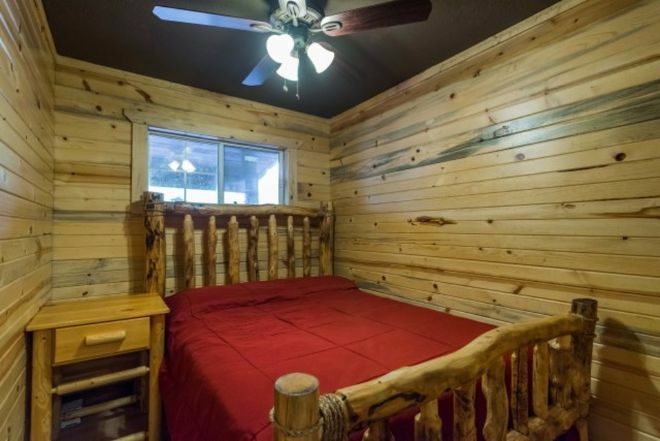 The bedrooms are generous and allow for a good deal of natural light to enter in. Waking up to a beautiful sunrise would definitely be something to look forward to every day in this great home! 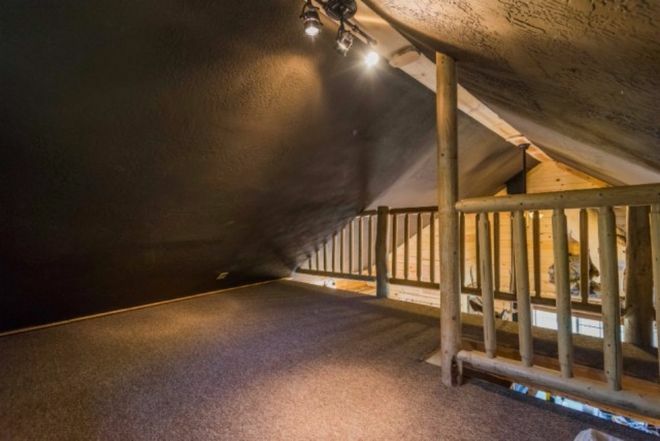 Additionally, there is another great feature – a loft above the living room! This could easily double as another bedroom, or even function as a lounge or game-room, depending on your needs. The deck, as well, adds character and great utility to this beautiful home. Not only does it encourage a relaxing evening of watching the sun set, or a morning breakfast in the fresh air, but it also boasts a hand-crafted swinging bench, perfect for those moments when you just want relax with a partner. 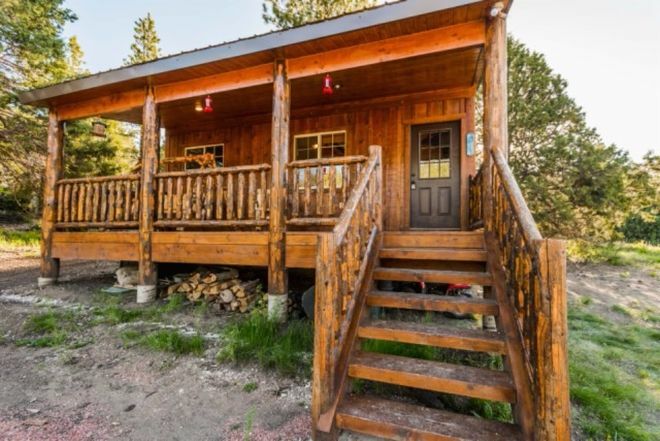 This beautiful cabin in the mountains is just begging for someone to make their dream into a reality, and the acreage that is included in the deal is quite the icing on the cake. 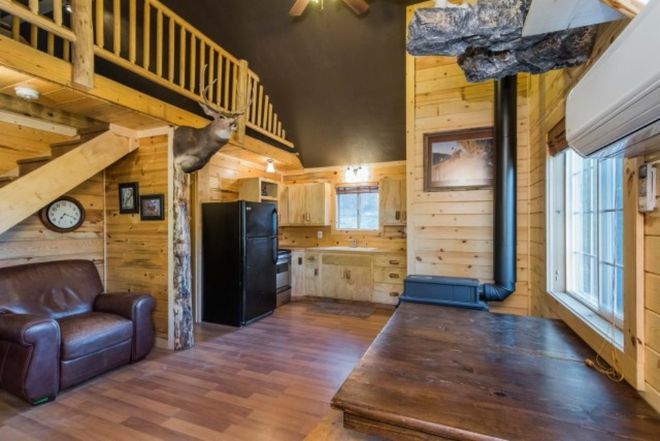 What would you do with 120 acres of land and a cozy cabin in the middle of it? LIKE and SHARE this post on Facebook and let us know!